Gate Exam is a best opportunity for the students whose dream is to do M.Tech (Post Graduation). GATE 2018 is also good opportunity for PSU jobs. Many students are searching for the Best Books for GATE 2018. So we are providing the list of Best Books for GATE Mechanical Engineering. 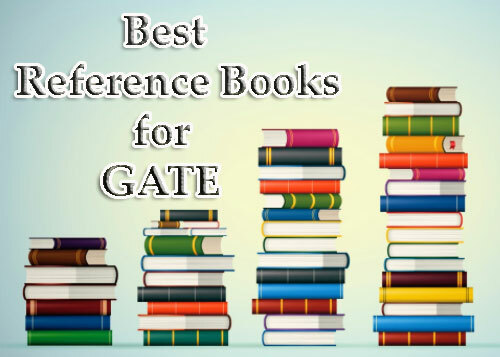 For more information of Best Books for GATE 2018, continue reading this article. This book contains the subject matter in simple and lucid language.This book also contains a large number of numerical problems. This book has a simple language and a problem-solving approach. This is a conceptual book and has a good number of numerical problems. This is a excellent book which covers all concepts related to every topic. A large number of solved and unsolved examples containing real life problems with solutions helps you develop your ability to apply those basic concepts to practical problems. Hence, this book is very popular among GATE and PSU aspirants. This is perfect book for competitive exams like GATE or IES. Therefore, the book consists of several diagrams and questions to understand the concepts better. This is an excellent book with clear concepts which makes the subject interesting for the reader. This book is ideal for the beginners in mechanical vibrations. It is very suitable and reliable for GATE and other competitive exams. Each chapter explains the theoretical considerations in the design of machine elements. Moreover, it covers various dimensions of one topic and thus all topics are explained in their entirety. This book contains a comprehensive treatment of the subject matter in simple, lucid and direct language and envelopes a large number of solved problems properly graded, including typical examples important from the examination point of view. This is a good book for Concept Building. This book contains adequate theory and problems which are very much useful for GATE preparation. This is the perfect book for beginners to Heat Transfer. There are a large number of solved and unsolved examples which illustrate the theoretical concepts. It also contains some of the best numerical which are tested in various examinations. Hence, it might not be suitable for beginners as some of the numerical can be intimidating. But the book is quite popular among GATE aspirants. It gives the detailed coverage on hydroelectric, diesel engine and gas turbine power plants. Moreover, plenty of solved examples, exercise questions and illustrations make this a very student friendly text. This book is good for the beginners .The book gives the detailed description of combustion engines that helps in getting a clear understanding of concepts. This book comprises of detailed explanation of all parts that make up an Internal Combustion Engine and summarizes the theory behind their working. This book has every detail of refrigeration and a little on air conditioning. This book is the ideal text for beginners to refrigeration and air conditioning, but there are not enough problems. It is a comprehensiv book for beginners as it contains simple and easy-to-follow language. There are a large number of theoretical and solved & unsolved numerical problems to brush up your concepts of the subject. This book contains detailed explanations of the core concepts you need to know for the exam. It is best suited as a theory book for the GATE examination because it has only a fewer problems. It contains an indispensable text on the subject with emphasis on the practical uses of the concepts and information. Moreover, there are a number of illustrative examples and case studies to highlight important concepts and techniques. This is a comprehensive book for undergraduate students of Mechanical and Production Engineering. These Books for GATE Mechanical are quite helpful for students preparing for GATE 2018. This book contains a series of questions and solved examples to help you evaluate your strengths and weaknesses and work on them accordingly.